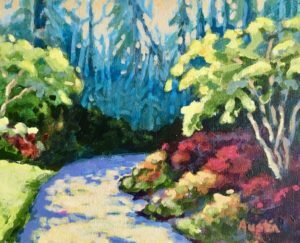 Painted at VanDusen Botanical Gardens. Although not the focal paint of the painting, what attracted me to the scene was the background trees. The light washed out the distant trees turning them shades of turquoise and teal.